OXFORD, Miss. 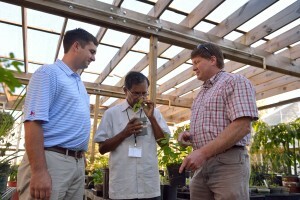 – Since 1995, the University of Mississippi School of Pharmacy‘s inaugural research center has been setting the bar in the areas of natural products chemistry, botanical supplements development and marijuana research – and more. The center has grown significantly since its modest beginning. Organized under the umbrella of the pharmacy school’s Research Institute of Pharmaceutical Sciences, the NCNPR was authorized by federal legislation sponsored by Sen. Thad Cochran in 1988 and began operations in 1995. Alice M. Clark, now the university’s vice chancellor for research and sponsored programs, became the center’s first director in 1996. Working with Walker, who was then associate director, Clark visualized the center’s infrastructure and began building the program from scratch. The center’s early achievements fell into two categories, the first being research discoveries that advanced the science of medicinal plants and drug discovery and development, Clark said. The second were strategic advancements that led to new partnerships and growth. The USDA’s Agricultural Research Services moved its Natural Products Utilization Research Unit to the center in 1996. Stephen O. Duke was named research leader of the unit. The formalization of the previously established partnership was a major step for the center that paved the way for other federal collaborations. In 2001, Walker was named director. That year, the center launched its partnership with the U.S. Food and Drug Administration. It formally recognized the Center of Excellence on Botanical Dietary Supplement Research in 2006. Training of FDA field inspectors is an important part of the COE. Several times a year, trainees attend workshops at the center that teaches about approaches toward verifying identity and quality of botanical supplements. To date, the program has trained more than 600 inspectors. The COE has assumed a leadership role in bringing together experts from around the world to discuss issues related to medicinal plants and dietary supplements. In 2001, the NCNPR hosted the first International Conference on the Science of Botanicals. The annual conference has been instrumental in facilitating conversation related to botanicals among scientists, industry leaders and other parties. The expertise that has developed within the center is unmatched. One example of the center’s specialized knowledge is illustrated in the area of immunostimulants. David Pasco, NCNPR associate director, has worked extensively with a microalgae called spirulina that has been shown to boost the immune system when taken as an extract. Today, with more than 100 people on staff including USDA employees, the center’s influence on natural products research can be felt near and far. That influence begins with the people that the NCNPR has trained, Walker said. David D. Allen, the pharmacy school’s dean and executive director of RIPS, applauds Clark and Walker for their leadership. The future brings a variety of exciting prospects, Walker said. From investigating marine natural products to developing FDA-approved botanical drugs, there is much to learn and discover. “Broadly speaking, I think the most exciting thing is the potential that natural products have for impacting human health in the post-genomic era,” Walker said. 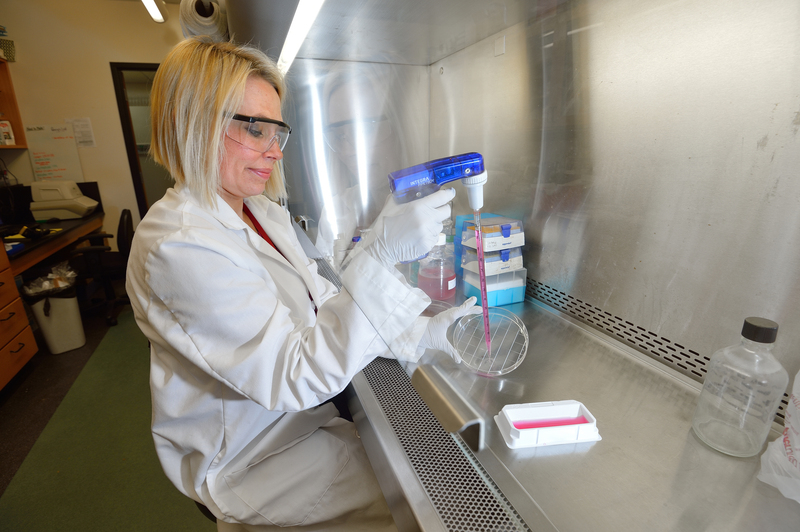 “With our new understanding of the human genome and its expression, and of the complex signaling pathways that regulate it, we are finding new and exciting ways that natural products can prevent and treat disease. The NCNPR was authorized by Congress in 1988 and began operations in July 1995. Alice M. Clark was named the director of the center in the fall of 1996, giving the national research center its first permanent director. Larry A. Walker became director in 2001. In the fall of 1996, the south sections of the second and third floors of the center were completed and the space was occupied. 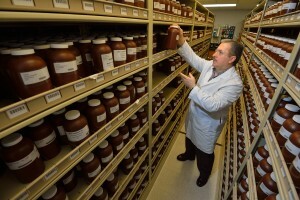 In October of 1996, the U.S. Department of Agriculture – Agricultural Research Service’s Natural Products Utilization Research Unit began its work at the center. The partnership has produced numerous joint projects, publications and patents for the development and application of natural products for pharmaceutical and agricultural uses. The center’s partnership with the U.S. Food and Drug Administration launched in 2001. The partnership focuses on the development of standards for a broad range of herbal products commonly used in dietary supplements. In 2001, the inaugural International Conference on the Science of Botanicals was held. The annual event brings together scientists from around the world to discuss issues related to medicinal plants and dietary supplements. On September 23, 2005 the NCNPR celebrated its 10th anniversary. U.S. Sen. Thad Cochran delivered the keynote address. Planning for a new addition to the Thad Cochran Research Center began in 2005. Health Resources and Services Administration funding made planning of the new addition possible. The 250-seat auditorium expansion was completed by summer 2008. 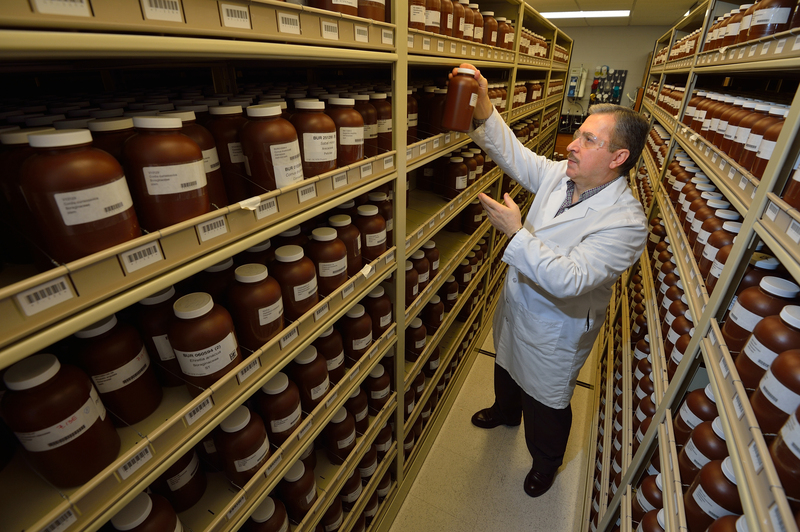 In 2006, the U.S. Food and Drug Administration established the Center of Excellence on Botanical Dietary Supplement Research. The Maynard W. Quimby Medicinal Plant Garden began constructing a new facility in 2009. The facility was dedicated in 2012. 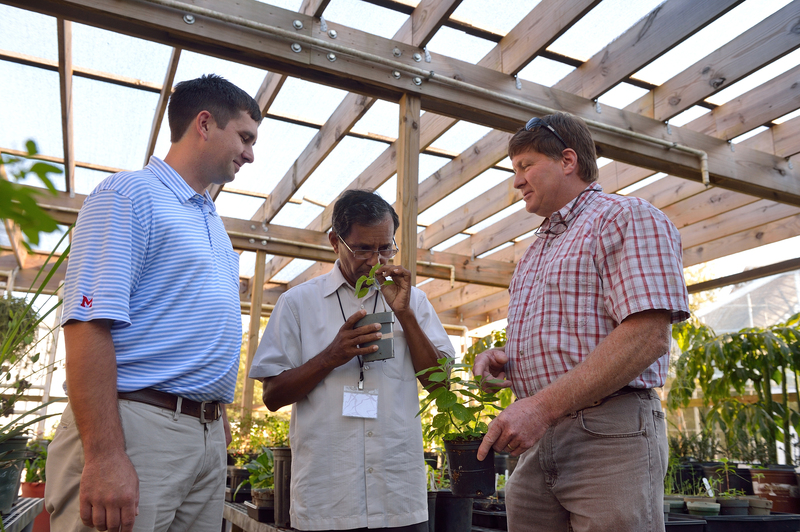 The center hosted the American Society of Pharmacognosy’s annual meeting in 2014. The Thad Cochran Research Center West Wing was dedicated in 2015. The building, which completes the two-building National Center for Natural Products complex, allows researchers to advance their drug discoveries to the commercialization stage. It is one of the most advanced facilities in the region.